Beowulf shall return to the Shieldlands, no more. C21 Media reports ITV has cancelled its Beowulf TV series after the first season. The news that Beowulf would get the axe, first broke in February. In the US, Beowulf airs on Esquire. A fantasy drama, based on the Old English epic poem, the series stars Kieran Bew in the title role. William Hurt, Joanne Whalley, and Ed Speleers also star. ITV had high hopes for the £17m (US$23m) adaptation of the epic poem but the programme ultimately failed to achieve high viewing figures. What do you think? Are you a fan of the Beowulf TV show? 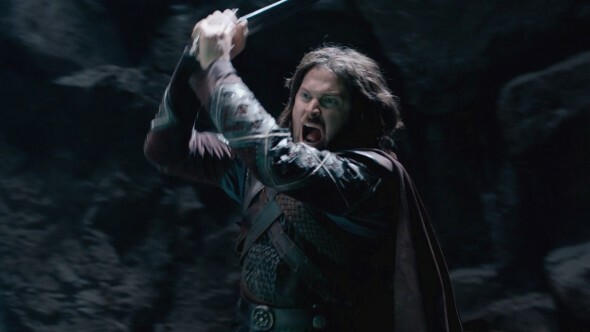 Do you think Beowulf should have been cancelled, or renewed for a second season? More about: Beowulf, Beowulf: canceled or renewed? Just watched season 1 on Prime, it was great. Please, please, do a season 2. Wow no season 2. Some other network could make many fans happy. And would make a lot of $ in ratings. Go fund this show Please. Propose another network please. Same actors and actresses. Just watched this entire series on Amazon prime and I’m pissed to see that there’s no season two! It was a great series! Why did they cancel. OMG bring it back!!! I cant believe they cancelled this!! I just told a few friends to watch this bc we are obsessed with GOT and this was intriguing. I think they should reconsider soon before the actors and actresses move on. Beowulf had potential to be as good as GOT. The writers had the right ideas to keep us in suspense. They may reconsider having extra series once others watch it on Netflix. I loved the series! The actors were very engaging! The costurmes, the settings, the monsters–all were done really well!! I think it was a mistake to cancel this show!